This project was part of the Overall Master Planning for the Curb Front Improvements. 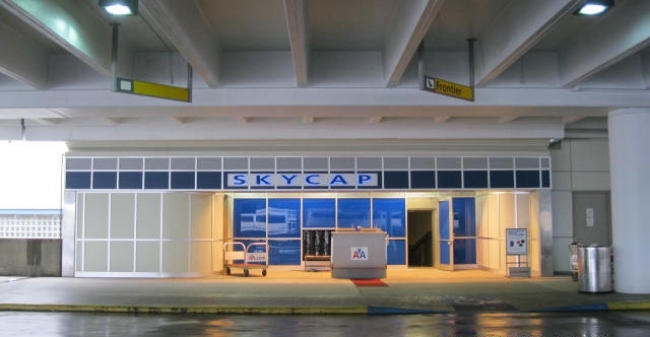 This Phase included the renovation of the existing skycaps as well as upgrading current lighting and outdoor heating lamps. Major design features include, back lit signage letters, continuation of existing exterior lines and curves, and the use of color as pigment & light to tie into the overall scheme for the curb front improvements.